The World Bank's Board of Executive Directors on Thursday approved three new projects for Ukraine amounting to $1.48 billion that will help drive forward the essential structural and macroeconomic reforms, the World Bank said in a press release. "The country's leaders are determined to improve public services and back much-needed reforms, and we're determined to help them," the press release quotes World Bank Group President Jim Yong Kim as saying. 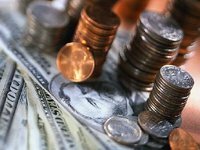 The three projects approved by the Board on Thursday are part of the World Bank Group's overall assistance to Ukraine announced in March this year, which aims to provide up to $3.5 billion by the end of 2014. This new financing will be reinforced by technical assistance, the press release said. In particular, the World Bank approved the $750 million First Development Policy Loan (DPL-1) that will support high-priority reform measures to address key structural roots of the current economic crisis in Ukraine and to lay the foundation for inclusive and sustainable growth. It aims to promote good governance, transparency, and accountability in the public sector; strengthen the regulatory framework and reduce costs of doing business; and reform inefficient and inequitable utility subsidies while protecting the poor. The $382 million District Heating Energy Efficiency Project will support 10 municipal heating utility companies across the country by helping them enhance quality of their services and carry out efficiency improvements to cut production costs as well as harmful emissions. The project includes $50 million from the Clean Technology Fund (CTF), which provides middle-income countries with resources to use low carbon technologies. Over 3 million Ukrainians are expected to benefit from the project, which will be implemented in Cherhiniv, Dnipropetrovsk, Donetsk, Ivano-Frankivsk, Kamianets-Podilsky, Kharkiv, Kherson, Kirovohrad, Mykolaiv, and Vinnytsia. The $350 million Second Urban Infrastructure Project will provide funding for 10 participating water utilities across the country and a municipal solid waste company. It will assist the participating utilities in achieving a series of improvements in quality and efficiency of the services provided through the rehabilitation and upgrade of dilapidated water supply and wastewater infrastructure and institutional building. This will result in better access to water, wastewater and solid waste services to over 6 million citizens. The project includes $50 million from the Clean Technology Fund (CTF). Late this April, Ukraine's Cabinet of Ministers shortlisted companies under this program, namely water utilities from Kyiv, Donetsk, Kramatorsk, Kirovohrad, Zhytomyr, Ternopil, Ivano-Frankivsk, and Kolomyya, and a solid waste processing company from Kharkiv. The sum of $750 million under DPL-1 will arrive in Ukraine soon and will be used for budget needs, while the funds under the remaining two projects will be provided between 2015 through 2019. In particular, municipal heating utility companies will get their first $15 million in 2015, then $40 million in 2016, and $80 million in 2017-2019 each. With these new investments, the current World Bank's lending portfolio will amount to $3.39 billion through 11 operations in the country. Since Ukraine joined the World Bank in 1992, the Bank's commitments to the country have totaled over $8.5 billion for 43 projects and programs.